Home > Co-Ownership > Why Choose Co-Ownership? In today’s rather volatile and uncertain property market there are many of us who would like to buy our own home but cannot get a mortgage. The down turn in the acceptance rate of mortgages has come as a direct result of what is being termed ‘the credit crunch’. This ‘credit crunch’ – the result of British banks buying up sub prime mortgage debts from the United States – has left many first time buyers out in the cold and unable to secure the mortgage they need or indeed put together the deposits they need to buy their first home. So is there anything that can be done? As we have mentioned the problems caused by the fall out from the sub-prime market has meant that many first time buyers are struggling to get their foot onto the property ladder. Those that have raised the deposit for their first home are being refused mortgages because they have little financial history or simply because the mortgage lenders are cautiously vetting those they offer mortgages to. In the first six months of 2008 42,000 mortgages were accepted which is sixty-four per cent less than the same period in 2007. Co-Ownership schemes offers a solution to this problem in the following way. If as a first time buyer you can raise the deposit and are offered a mortgage less than that you asked for then you can buy half the property and rent the other half. This would be the equivalent to taking out a one hundred per cent mortgage but without the higher rates of interest being levied. Co-Ownership works like this: you buy at least two fifths of your home (40%) using a mortgage as you would in the normal way but paying a rent to a Co-Ownership Housing Association for the remaining three fifths (60%). You can, if you can afford to, buy up to 75% of the property or simply buy a bit more as and when you can afford to do so. The main advantage to Co-Ownership is that you, as a first time buyer, can get a foot up on the property ladder without breaking the bank. Also you get the opportunity as time passes to buy more of your home or none at all depending on how your finances stack up. Co-Ownership can also be used to help those individuals or families who have previously owned their own home but have lost it through to foreclosure. Although this is at the discretion of the individual Co-Ownership Housing Associations and is subject to a refusal if they are not happy with your financial circumstances. 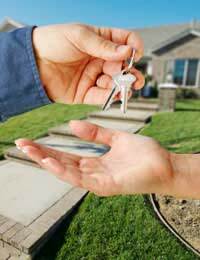 The biggest advantage to Co-Ownership however is in renting the remaining property. This is done at considerably less the value it would have been done at if the property was rented directly from a local council or private landlord. For more information on Co-Ownership housing you should speak to your local authority housing department who will be able to provide you with a list of those associations who operate the scheme in your area. You will also find details in your local directories. If there is a nomination period for marketing a shared ownership property the housing association needs to do more than just put it on a website. My experience is that they've required I take and email them photographs and do the viewings and arrange the viewings! If a marketing time frame is required then they ought to do the job properly or allow the process to go directly to the open market via estate agents. Selling your property can seriously be delayed by the 8 week rule' Pensioners. If you qualify and invest all your savings or your limited equity in shared housing, you could find yourself stranded in your new home. You will not be able to move to another shared equity home outside of the area you live if you have no local connection. Baring in mind if you had more equity you would not apply for shared equity in the first place.